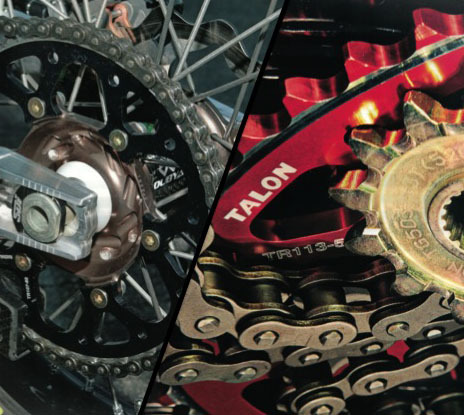 Wheelwise Engineering is pleased to include Talon race engineered components in its growing portfolio of products. 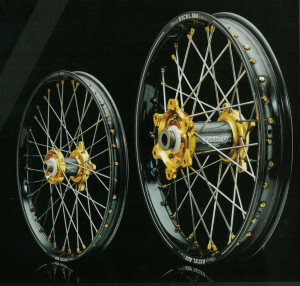 After 39 years in business, Talon wheel sets are the choice of many of the top teams in racing today. From its 40,000 sq. ft. state-of-the-art factory with over 20 new CNC machines and over 50 full time staff, the company exports to 35 countries. 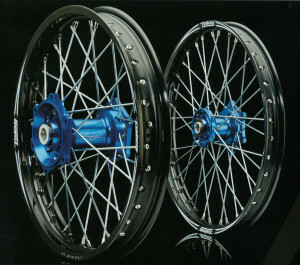 Rapid prototyping techniques, Solidworks 3D design software, CAD/CAM design and programming and its own in-house toolmaking facility all go towards making the very best wheel sets available in the world for style, fit and strength. The all-new Talon Evo wheels are an exciting addition to the range and provide reliability and good looks at an affordable price. 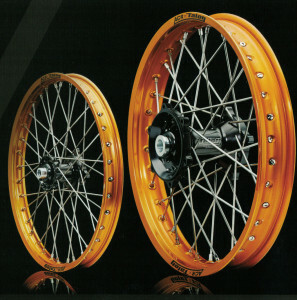 An all-billet hub is laced to a Talon rim with high carbon steel spokes and, to keep the price competitive, the wheels are only available with one colour hub per motorcycle manufacturer and a black rim. 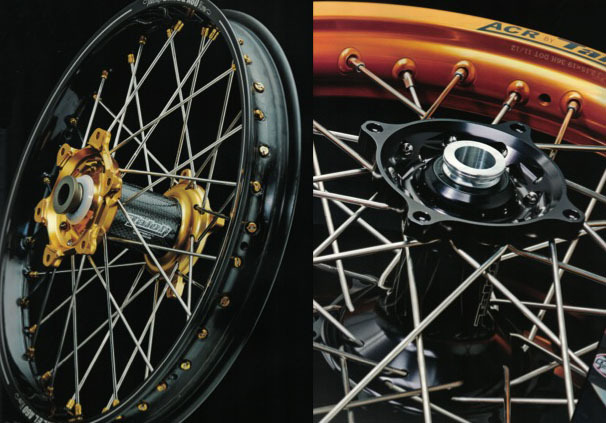 The Billet ACR wheel incorporates a new combination of the legendary ‘3’ cross billet hub and the latest seven-series ACR rim and is renowned for its durability and light weight. The Talon Ultralite billet hub range has been completely redesigned and is a viable alternative to the carbon hub. 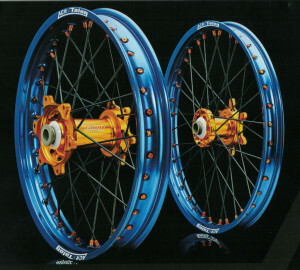 They are supplied for most of the popular mainstream motocross bikes and can be fitted with either a Talon ACR rim, an Excel signature series rim or an Excel A60 rim. After many hours of research, Talon engineers have pioneered methods of bonding carbon fibre to aluminium to produce a very light, yet strong, hub. 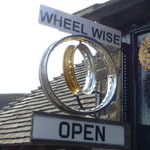 This has been married with the Excel A60 rim in the Carbon A60 wheel, which is the preferred choice of many leading race teams today. 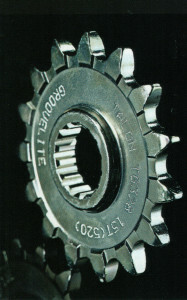 All Talon alloy sprockets are CNC machined from the top specification 7075 T6 aluminium to ISO 9001 quality and the Guild of Master Craftsmen standards. 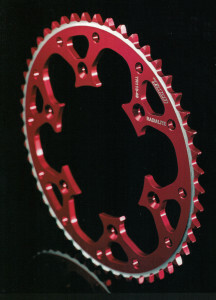 Front sprockets are precision CNC machined from Nickel-Chrome Molybdenum Steel and heat treated for maximum life, zinc plated to avoid corrosion and race proven by many GP/AMA race teams. 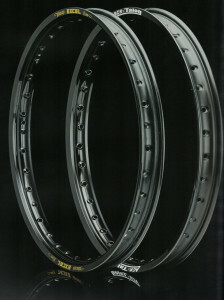 A range of rims is available, including the Talon ACR, the Excel signature series and the Excel A60. More information is available on the Talon website here.